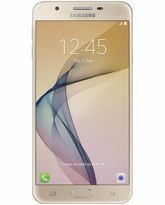 Samsung Galaxy J7 2017 supports 4G LTE connectivity for superfast connectivity. This J7 2017 Samsung mobile flaunts a gorgeous metal body in golden finish.Tap into the next-gen mobile potential with the Samsung Galaxy J7 2017 Dual SIM. Powered by 1.6GHz, Exynos 7870 Octa-Core CPU, the device offers you a seamless Android Nougat experience. The 3GB RAM of the J7 further enhances its processing prowess and allows you to shift between multiple background apps with glitch-free UI. Play some of the most resource intensive Android AAA titles without any lag, thanks to the Mali-T830MP2 GPU. But what if your ever-growing data hunger craves for more? Well, in that case, the J5 features up to 256GB of expandable storage to help you carry your digital library everywhere. The J7 2017 has 13MP AF primary camera that lets you shoot awesome landscape pics and buttery smooth 30FPS videos in 1080p quality. Freezing your memorable moments, no matter where and when they are unfolding, will be a matter of point and shoot as the camera has a f/1.7 aperture, fast autofocus and synchronized LED flash. And if you’re a selfie lover, you will fall in love with the end results produced by the 13MP front cam of the J7. The front LED flash gives you the perfect light setting for a perfect photo. 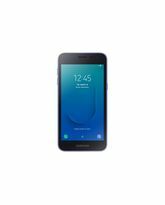 The Samsung Galaxy J7 2017 features an Exynos 7870 Octa-Core CPU that offers you the best of both worlds, raw processing prowess and much-needed energy efficiency. It has 3GB RAM module to take care of all your multitasking needs while the Mali-T830MP2 GPU ensures you get an immersive gaming experience on-the-go. And when you have a large 3600mAh, Li-Ion battery incorporated into the device, you don't have to worry about running out of power. Rest assured, all these hardware elements are aptly optimized by the Android 7.1 Nougat OS to take your smartphone experience to new heights. This J7 2017 Samsung Galaxy dual SIM mobile flaunts a 5.5inch, Super AMOLED display that breathes new life onto the onscreen with its 16M color reproduction and 401ppi pixel density. The FHD resolution offers lifelike visuals while the 73.3 percent screen-to-body ratio makes the device sleek and gorgeous to look at. The stunning metal body and sophisticated finish deliver the aesthetic appeal, the signature J7 series is renowned for. But looks aren’t everything they say, and this device with dust and splash resistant IP54 certification is no exception. This Samsung J7 2017 delivers state-of-the-art image capturing performance with its 13MP AF rear camera and f/1.7 aperture. Record your stunts and dance moves in lifelike 1080p quality and relive them with your friends and family. You can also use the 13MP front shooter and capture those picture-perfect moments together. The LED flash at the back and front let you take great shots even in low visibility. 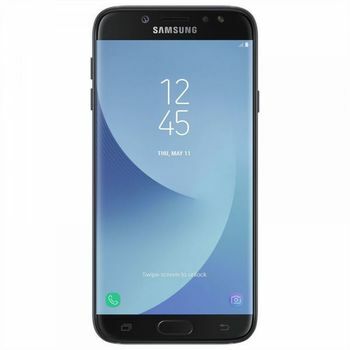 This 2017 Samsung Galaxy J7 lets you seize the moments your way, in gorgeous details with features like touch focus, face detection, panorama, HDR and more. 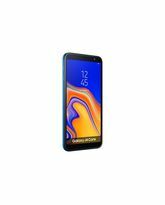 Samsung Galaxy J7 2017 supports 4G LTE connectivity for superfast connectivity. This J7 2017 Samsung mobile flaunts a gorgeous metal body in golden finish.Tap into the next-gen mobile potential with the Samsung Galaxy J7 2017 Dual SIM. Powered by 1.6GHz, Exynos 7870 Octa-Core CPU, the device offers you a seamless Android Nougat experience. The 3GB RAM of the J7 further enhances its processing prowess and allows you to shift between multiple background apps with glitch-free UI. Play some of the most resource intensive Android AAA titles without any lag, thanks to the Mali-T830MP2 GPU. But what if your ever-growing data hunger craves for more? Well, in that case, the J5 features up to 256GB of expandable storage to help you carry your digital library everywhere. The J7 2017 has 13MP AF primary camera that lets you shoot awesome landscape pics and buttery smooth 30FPS videos in 1080p quality. Freezing your memorable moments, no matter where and when they are unfolding, will be a matter of point and shoot as the camera has a f/1.7 aperture, fast autofocus and synchronized LED flash. And if you’re a selfie lover, you will fall in love with the end results produced by the 13MP front cam of the J7. The front LED flash gives you the perfect light setting for a perfect photo. 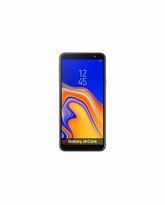 PERFORMANCE THAT EXCITES YOU The Samsung Galaxy J7 2017 features an Exynos 7870 Octa-Core CPU that offers you the best of both worlds, raw processing prowess and much-needed energy efficiency. It has 3GB RAM module to take care of all your multitasking needs while the Mali-T830MP2 GPU ensures you get an immersive gaming experience on-the-go. And when you have a large 3600mAh, Li-Ion battery incorporated into the device, you don't have to worry about running out of power. Rest assured, all these hardware elements are aptly optimized by the Android 7.1 Nougat OS to take your smartphone experience to new heights. 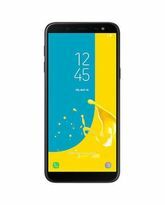 THE J7 JAZZ This J7 2017 Samsung Galaxy dual SIM mobile flaunts a 5.5inch, Super AMOLED display that breathes new life onto the onscreen with its 16M color reproduction and 401ppi pixel density. The FHD resolution offers lifelike visuals while the 73.3 percent screen-to-body ratio makes the device sleek and gorgeous to look at. The stunning metal body and sophisticated finish deliver the aesthetic appeal, the signature J7 series is renowned for. But looks aren’t everything they say, and this device with dust and splash resistant IP54 certification is no exception. MADE FOR THE CLICKOHOLICS This Samsung J7 2017 delivers state-of-the-art image capturing performance with its 13MP AF rear camera and f/1.7 aperture. Record your stunts and dance moves in lifelike 1080p quality and relive them with your friends and family. You can also use the 13MP front shooter and capture those picture-perfect moments together. The LED flash at the back and front let you take great shots even in low visibility. This 2017 Samsung Galaxy J7 lets you seize the moments your way, in gorgeous details with features like touch focus, face detection, panorama, HDR and more.